You too can be a reason to win another Olympics medal for your country! Local Inspiration, Global Aspiration - Local Inspiring News about people, events & accomplishments capable of inspiring others. While on one side, there is loss of interest in sports activities in kids who are more involved in using technology to spend their leisure time, there are also children who are keen to play sports but are devoid of resources to play. A few youngsters from Bangalore, who joined hands to help provide resources to such kids, are setting great example to the rest of the world! Do you recall how happy you were, when your country’s champions won medals at the Olympics? But, how many of us thought about the dreams of those who want to reach there, but are not able to, due to unavailability of resources – the basic equipment? 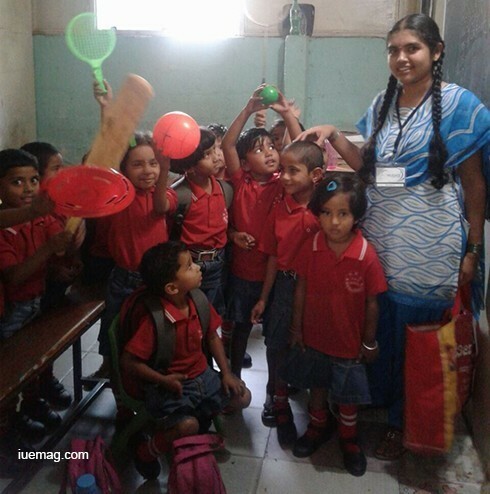 While the entire country was overjoyed by the results our Indians produced at the Olympics, these young visionaries from Bangalore decided to become the reason to help more aspiring underprivileged children who desire to achieve in the field of sports. The Season 9 delegates of i3 Bangalore, who have continued to inspire thousands of lives through different social projects every single week, took an initiative to execute the ‘Sports Equipment Procurement Campaign’, an initiative of iU Cares Foundation, whose objective is to reuse the used sports equipment, by distributing them to the kids who are denied of those privileges. 20 delegates who participated in the campaign reached out to hundreds of houses, educational institutions, sports shops, playgrounds and every single locale possible to procure the equipment and donate it to those who are in actual need. 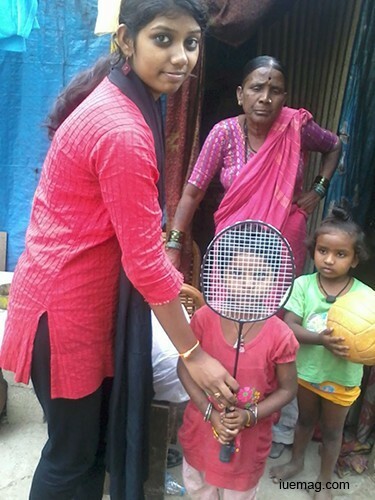 Although it was mostly challenging for people to give away the used ones, especially when there were sports apparatus that they used for the first time, a lot of them realized that they would be used better if given to those who require them. It was during the execution of campaign that many noticed how some of these equipment are just kept at schools and colleges without being used, just because they are old. There were a lot of sports shops that had old stocks and were left unsold! Hundreds of people had not even thought of giving it away to others who could at least use it. This campaign made way for many children to be able to practice and achieve their passion to become sportsmen who would bring pride to the nation. “I reached out to the Royal Convent School to share about the project. The principal said that he had not even thought of doing something this way, to help someone from what is going waste there. He not only donated a few old equipment from the school, but also asked me to go and meet the children and share about the project asking them to bring any toys or sports materials from their houses. I did the same and the very next day, the kids came back with sports materials that they had at home. They were so enthusiastic when I shared how it would help those kids who are in real need of it. I went back to give away these sports equipment to a few kids in slums and a few kids from a government school. It was a fantastic experience executing the project!” stated Kavya NV, one of the i3 delegates and an engineering student from Vemana Institute of Technology. More than one thousand people were made aware about the campaign. Also, more than 250 sports equipment were donated to the future winners of the nation, by the delegates who also involved more than 10 volunteers as a part of the project. The other delegates who participated in executing the campaign were Naveen Kumar, Mallika, Kavya V, Meghana, Jayati Mattoo and Chaithra V.
While the larger part of the world thinks that the society can be helped only with money, these youngsters prove how money does not matter when someone really wants to help his/her society. Emergence of more platforms and involvement of more youngsters in such activities is sure to make way for a global change. You may or may not be a star at sports, but you can definitely be the reason to help create one! Any facts, figures or references stated here are made by the author & don't reflect the endorsement of iU at all times unless otherwise drafted by official staff at iU. This article was first published here on 7th October 2016. IJ Kavyashree is a contributing writer at Inspiration Unlimited eMagazine.